The Nora Onyx Series LED fixture is suitable for use with a 5" or 6" recessed housing and produces even illumination without diode image. 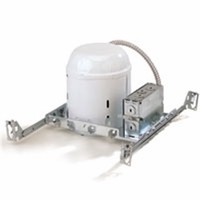 This dimmable, low-profile 120-volt unit is cULus wet listed and produces 750 lumens at 90+ CRI making it great for kitchens, living rooms, bathrooms, and covered porches. 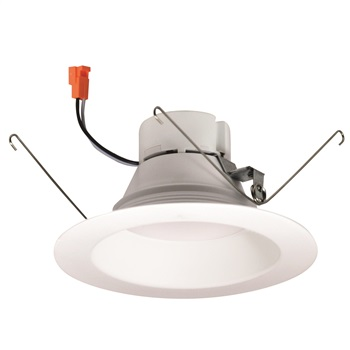 It has a deep-set optic for visual comfort that is perfect for new construction, remodels, and retrofit installations. Offering color temperatures of 2700K, 3000K and 4000K, the Nora Onyx LED Retrofit Reflector Trim downlight has an integral driver and includes a medium base E26 socket adapter to simplify the process of retrofitting in recessed housings of 5 or 6 inches. It has an aperture of 5 1/4" and is 4" high and 7 1/4" in diameter. 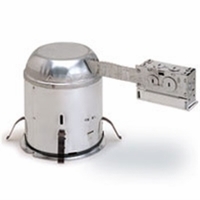 Nora LED downlights come with a five-year warranty from Nora Lighting. 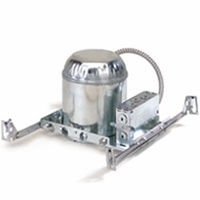 Mounting Requires 5" or 6" recessed housing. E26 adapter included.